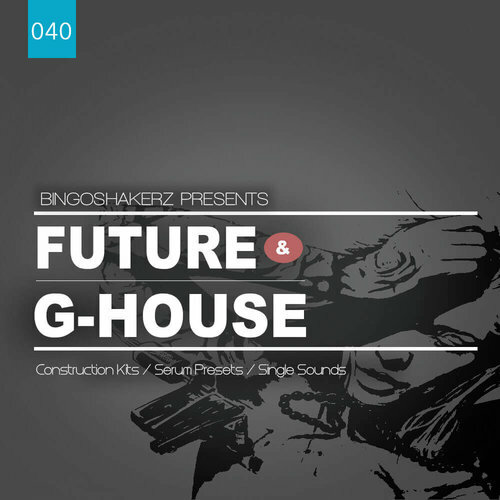 We are proud to present our latest – Future & G-House! Jam-packed with 400MB + of booming sounds, VST presets, MIDI's and construction kits – this collection delivers hybrid pack of big, bold & phat Future House & G-House drops. Loaded with 5 fully mixed and mastered construction kits broken down into: whooping G-House bass loops, FM-synth loops, crisp hat & percussion loops, groovy no-kick top loops, solid kick drums, drum fills & vocals. MIDI files are included for maximum programming ease. This collection also includes 213 individual single bass, synth and drum sounds which are ready to be loaded in any sampler or DAW. Last but not least – Future & G-House also features 22 VST patches for enormously popular – xFer 'Serum' Vst. Please NOTE: Sound patches requires xFer 'Serum' v.1.113 or higher version.